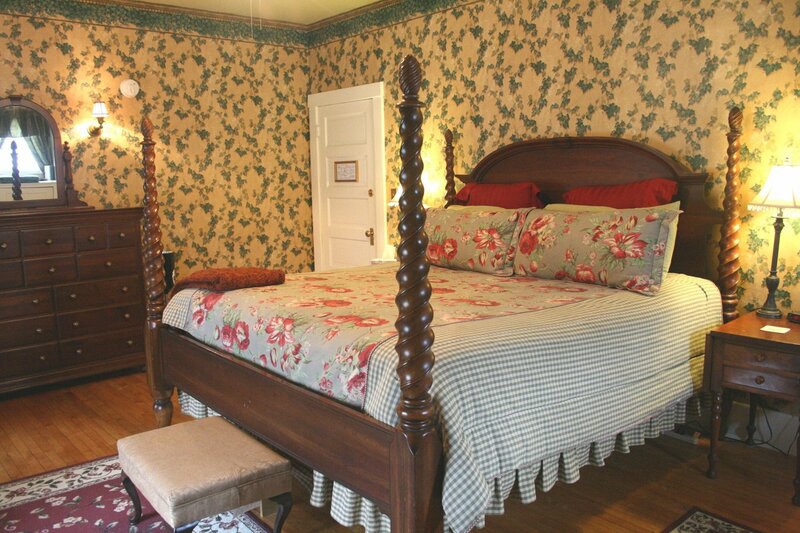 Named for its distinctive green ivy wallpaper and its rich window treatments, this is our most spacious room. 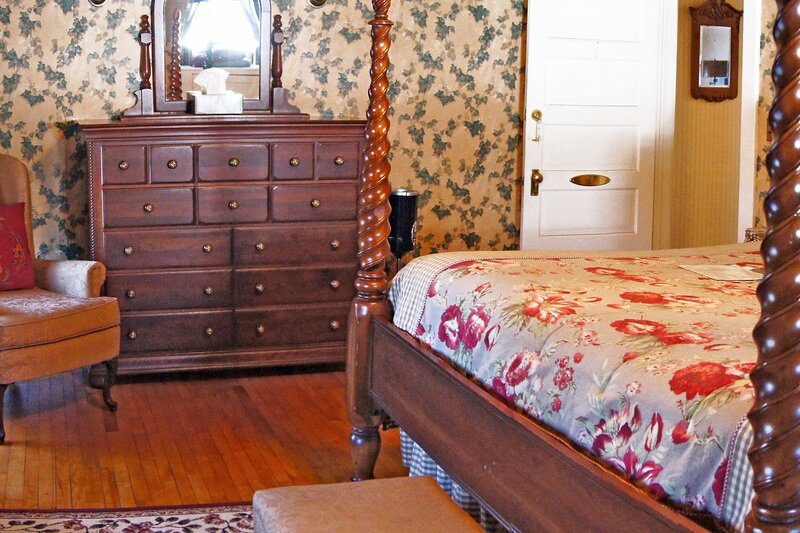 A traditional step-up king size four-poster-bed with plush pillows invites you to take a nap. If you choose to relax and read a book instead there are two easy chairs and an ottoman to put your feet up on or choose to write home at the antique desk.